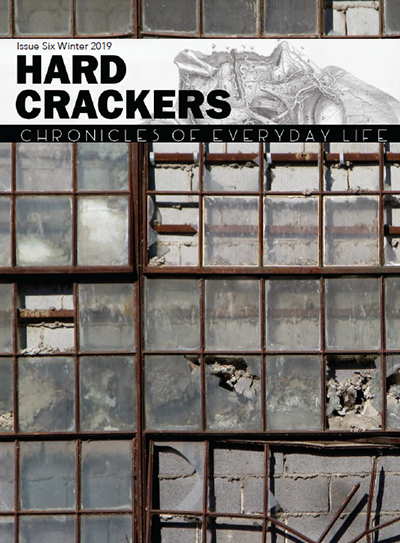 Hard Crackers editor Lowell May died at his Denver home on the morning of December 19. Born in 1949, he grew up under harsh conditions on a farm near Lorimer, Iowa. He went to high school in Hampton, Iowa (class of 1967), where he played on the football team. He attended the University of Iowa during the Vietnam War days and was news editor of the Daily Iowan, which played an important part in the campus antiwar movement (where he learned writing and editing skills that would be useful to him for the rest of his life). He went on to law school with the intention of using his law degree to serve the popular movement. He graduated, passed the Bar and practiced briefly, but instead of pursuing a career as a lawyer, chose to work in the farm equipment industry in the Quad Cities area. He was a founding member of the Haymarket Collective in the Quad Cities, a Marxist organization, which in 1975 affiliated with the Sojourner Truth Organization. In 1977 he moved to Denver to work with the southwest branch of the Movimiento de Liberacion Nacional, an organization dedicated to Puerto Rican and Mexican freedom. There he helped set up a print shop, P&L Printing, which became a center of movement activity, and the Bread and Roses Workers Cultural Center. He was active with the Industrial Workers of the World in supporting the P-9 strike at the Hormel plant in Austin, Minnesota, and other worker insurgencies. He wrote or published a number of books and pamphlets on working-class history, including Slaughter in Serene: the Columbine Coal Strike Reader, co-edited with Richard Myers. He taught a popular class in dialectics, in Denver, Portland, Oregon, and northern California. I agree with Marx that the fundamental human characteristic resides in creative production for self-development as a species. A worker gets invested in the fruits of her labor and society gets involved in the fruits of common development, technological or otherwise, to the extent that it will always and inevitably resist the alienation of its efforts and their fruits. That’s where the capitalist rubber meets the socialist road, despite all ebbs and detours. Sorry for your loss, happy you had so many years of friendship. Lowell May was a sterling friend and comrade of 50 years! I am indebted to Lowell for the following. shared deep love/ambivalence of and about the Hawkeyes: recognizing big time football hypocrisy. Lowell once called me from a southern Colorado canyon asking if I was listening to the game on WHO. We played tennis on the clay courts next to the Iowa Writers’ Workshop. We hated the Iowa College of Law. But, states away we met spiritually somewhere around Madison County. What profound observation by the author, I noted in the margin. In the chaos of politics, the world is changing right before our eyes, small increments at a time, not by politicians but by the masses. Thanks Lowell for the enlightenment and for hope that a better world is possible. May your work and writings continue to inspire and motivate us to strive to be our better selves. I know, I am. RIP. Moved to Albin, Wyoming, as a baby. He lived there through kindergarten. His father’s brother was a potato farming mogul there. He set Harold up running a bar, which he loved. Harold was harassed into getting out of the bar business by Mildred’s conservative Missouri Synod Lutheran minister father. That’s when they bought the farm in the Lorimor area. His father hated it. No running water, outhouse, hard work. I think it might have been sixth or seventh grade when they moved to Hampton, Iowa, and bought a Dairy Queen. Lowell graduated high school in 1967. His intention at that time was to go to a Lutheran college and become a minister. Lowell ended up at the University of Iowa and within a month there was no more intention of becoming a minister.I think he graduated college in 1971 and law school in 1974. He worked at the print shop at gates rubber Company while we were getting the print shop going. P&L ran from bare bones 1978 until our retiring in the summer of 2009. It was passed on to a younger generation and is now defunct. Before the Occupy, BLM, and MeToo moment, our small organization had spent the years spanning across the optimism of the antiglobalization movement and the despair of the war on terror attempting to forge a meaningful radical political organization. In practical activity, we spanned from the IWW to community based struggles around immigrant rights and against police violence. Many of us drew inspiration from the work and writings of Sorjourner Truth Organization. As we ran up against the limits of our own experiences and knowledge, we began to explore reinvigorating STO’s,”How To Think,” a crash course in Marxism and dialectics. As we understood it. the course had initially been crafted as an attempt to cultivate the confidence and capacities of all participants to understand themselves as equal philosophers and intellectuals, regardless of their formal academic training or movement experience. A good number of the previous generation’s participants expressed caution regarding the utility of the classes for accomplishing their stated goal, and Lowell was one of a small number who gladly volunteered hours and months of his time to nurture and mentor this younger generation. Lowell’s seeming ease in aligning his very Wobbly world view with membership and partiicpation in a Marxist Leninist organization still strike me as an example of the complexity and nuance of his worldview. I recall Lowell’s ability to make very challenging, seemingly obscure texts (Hegel?) seem approachable and meaningful to the world we live and act in now. In what feel like dark times, I continue to learn and draw hope from his unflinching faith in the capacities of the working class to overcome the most complex obstacles, but have not forgotten his admonition as to the likely trajectories(socialism or barbarism),which the unfolding crisis points towards. 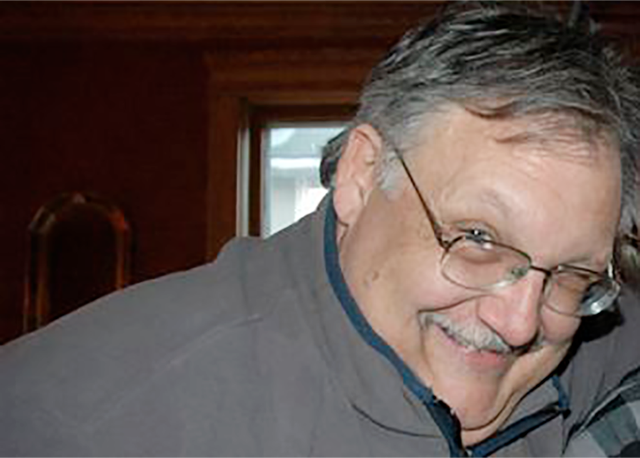 I will remember Lowell for his midwestern kindness and generosity, for his optimism, and the smirk and laugh which were ever offered as someone worked their way through the difficult material. His witty, politically pointed, laughing debates with his cofacilitator over seemingly obscure points, rather than being a diversion from the task at hand, stood out as high points in the classes. Lowell’s intellect and charisma made it clear he was the kind of person who could easily have accessed a life of comfort and privilege, yet he devoted his talents, passion, and capacities to the hope of a better world. I humbly hope my life might emulate his devotion.